Cupertino-based company, Apple, has been reported on manufacturing the second version of its iPad tablet computer. Moreover known as the iPad 2, the tablet would come powered with a built-in camera, in fact not one but two. Compared to the old tablet version, the iPad, the upcoming tablet would come powered with a stronger processor than the original A4 processor. Wall Street Journal reported on a close source reporting on the new device being thinner and lighter than the first one with at least once camera on the front of the device to cater feature such as the video conference calls. The iPad 2 would deliver almost the same resolution, similar to the first iPad, whereas observers had hoped that Apple would beef up the display to deliver a high definition display. The device would feature more memory as well as a more powerful graphics processor, although none of it comes as a surprise. Furthermore, the new iPad would be available on Verizon Wireless and AT&T only, whereas others have been left aside. Apple has been successful enough on selling more than 15 million units of the first iPad, and still dominates the market of tablets with figures reaching 75 percent. 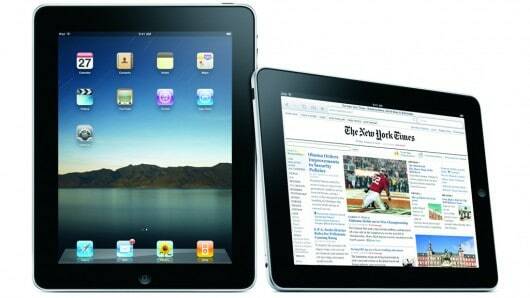 WSJ reported on the new iPad to debut in the next couple of months at a price similar to $499 to $829. The source further on reported that Hon Hai Precision Industry, known as Foxconn, is assembling the new iPad.